Baxa Corporation and CriticalPoint, LLC, announce positive results for the CriticalPoint training program from the Pharmacy Purchasing and Products 2nd annual national survey. This high level of user satisfaction can be attributed to the program's simple Internet access, high- written by industry experts and the ease of tracking employee training through its Learning Management System. Baxa Corporation announces the positive customer satisfaction results for the online and on-demand training program, CriticalPoint, in a nationwide pharmacy survey. 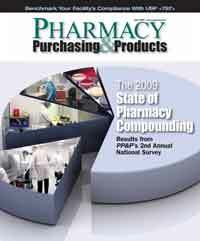 CriticalPoint is in use in 9% of the facilities surveyed by Pharmacy Purchasing and Products in its 2nd annual national survey released in May 2009 versus only 1% a year ago. In addition to market share information, a portion of the survey was focused on user satisfaction with training programs. Here, CriticalPoint scored 100% of their responses in the "Excellent" and "Good" ratings. On the five-point scale, these results represent the two highest satisfaction ratings. No other training program scored all responses in these two ranges. According to the Pharmacy Purchasing and Products publication, "CriticalPoint received very high satisfaction rates, followed by Lab Safety Corp/Valiteq, ASHP and homegrown programs." This high level of user satisfaction can be attributed to the program's simple Internet access, high-quality content written by industry experts and the ease of tracking employee training through its Learning Management System (LMS). CriticalPoint has been enhanced with new features continuously since its launch. Its latest training modules are referred to as The Virtual Compounder™. This interactive training technique allows users to walk an animated pharmacy employee through compounding lessons; demonstrating competency of both the content and processes being reinforced. Currently, CriticalPoint offers three lessons using the Virtual Compounder, with plans to release an additional seven lessons by the end of the third quarter of 2009.